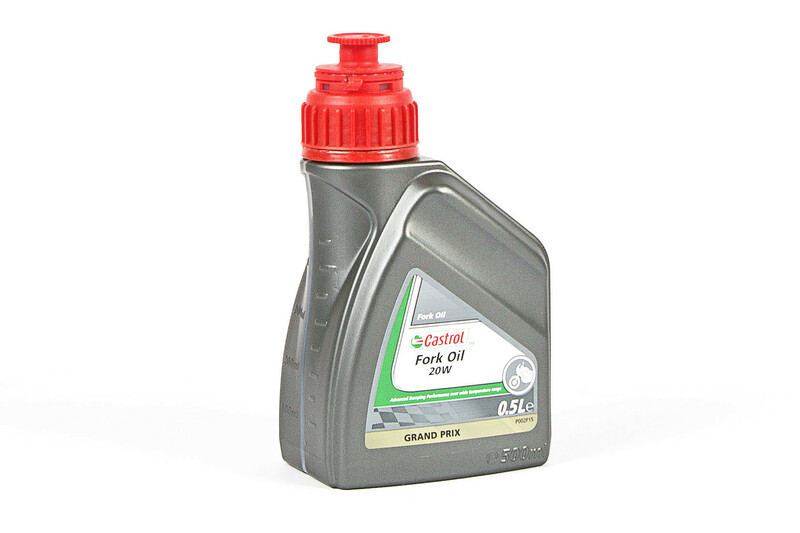 Castrol Fork Oil provides the following benefits: improved damping performance over a wide range of temperatures, fast air release for anti-fade performance, wear protection of suspension components, protection against corrosion of all the internal parts, Castrol‘s mineral Fork Oil range represents a new standard in mineral suspension fluid technology and can be used in all competition and on-road units. By intermixing the grades the optimum suspension fluid can be designed to suit all types of service and load to maximise suspension performance. Follwing grades are available: SAE 20W (perfect oil for classic cars with lever shock absorbers), SAE 15W and SAE 10W.